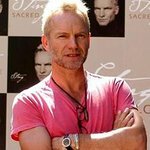 On November 9, 2011, you and a guest can meet Sting and attend his concert at the Roseland Ballroom in New York City as part of the Back to Bass tour! CharityBuzz.com is auctioning this fantastic opportunity to benefit Tibet House US, an organization that aims to promote and preserve Tibetan culture by serving as both a cultural center in New York City and an online global resource for those interested in Tibetan civilization. Learn more here. To celebrate the 25th anniversary of his solo career and his recently released Sting: 25 Years, the definitive box set collection, Sting and a five-piece band will perform all the hits, stripped down, as they haven’t been played in years. The auction runs until October 31, and can be accessed here.